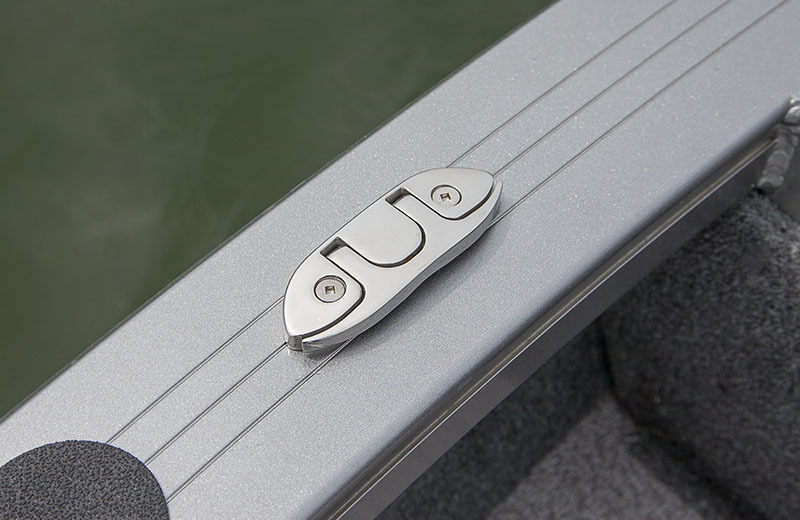 The new Crestliner 1650 Fish Hawk is 16 feet of all-welded aluminum strength. 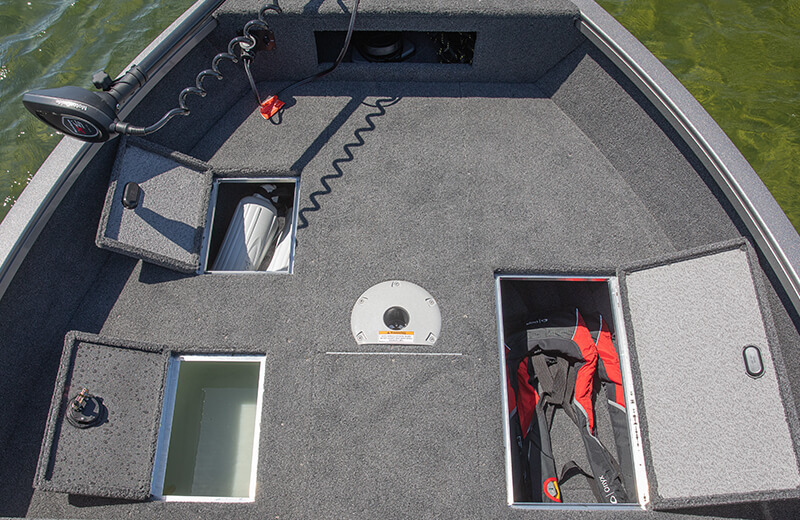 On the outside you’ll notice a new gunnel and a variety of new paint options. 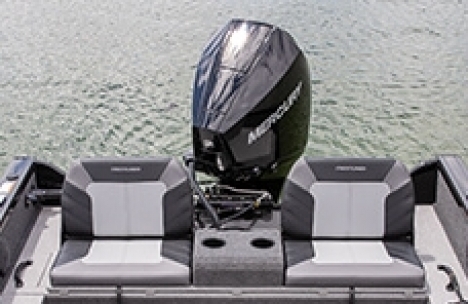 But don’t judge a boat by its cover. 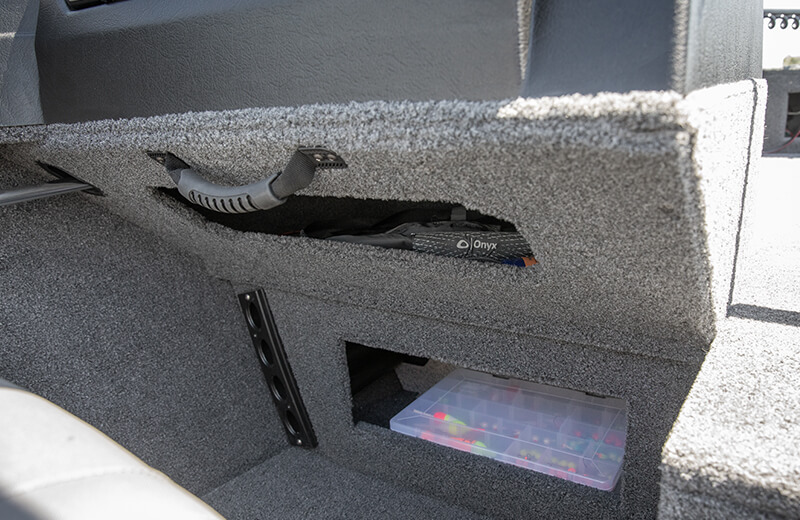 On the inside there is a brand new console that features a 12V power outlet, multiple drink holders, illuminated toggle switches and space for 12” electronics. 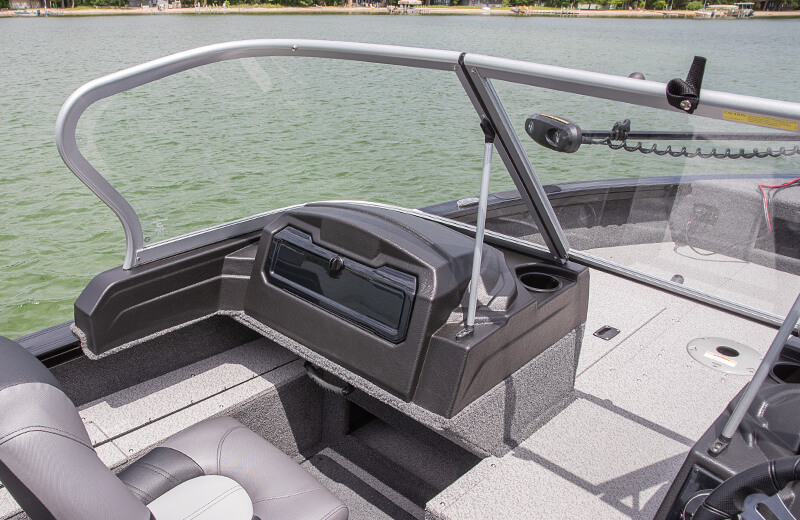 From there, we’ve added optional stern jump seats for added comfort and center locking rod storage with five 7’ tubes and five 6’9” tubes. 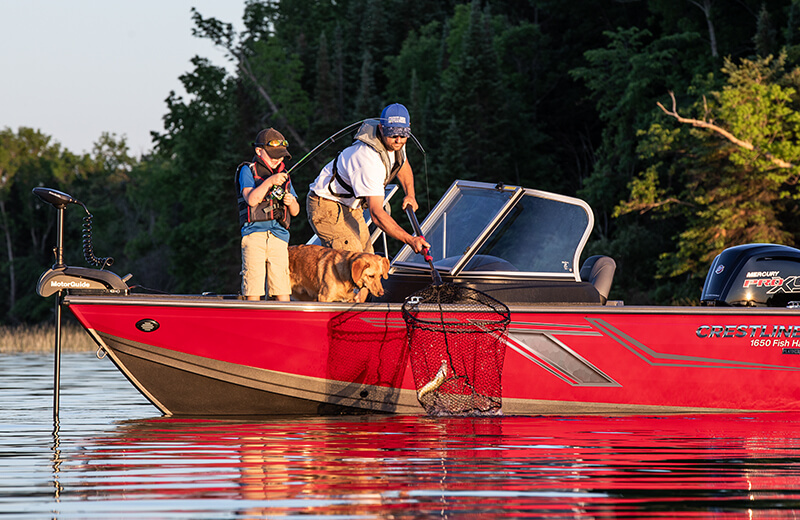 You’ll be armed to the gills with everything you need to catch anything you want in this multispecies boat. 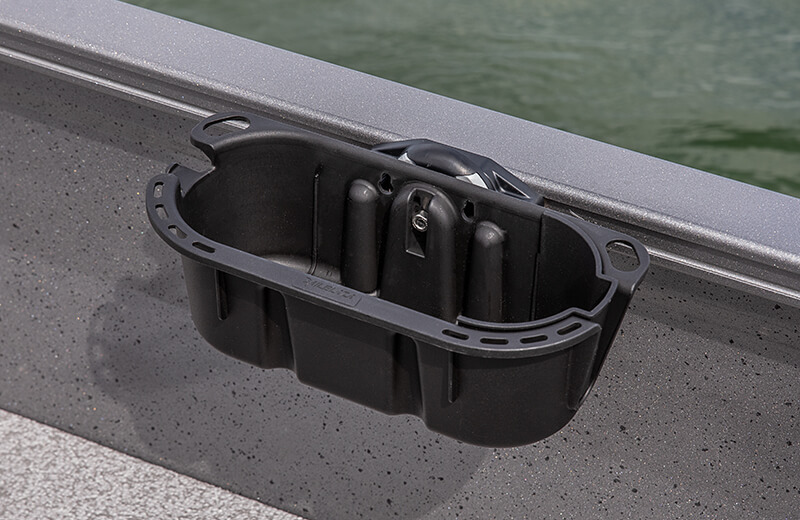 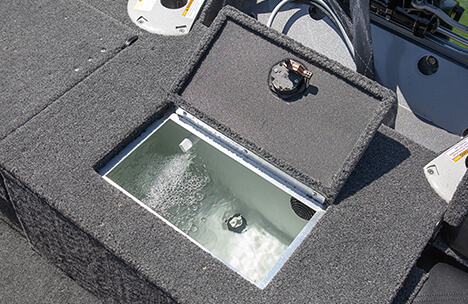 The 1650 Fish Hawk comes standard with a 15-gallon aerated livewell with timer and divider on the stern and a 12-gallon aerated livewell with timer in the bow to keep your catch fresh. 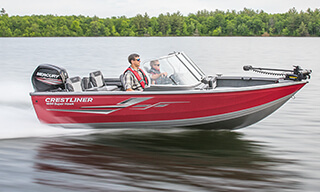 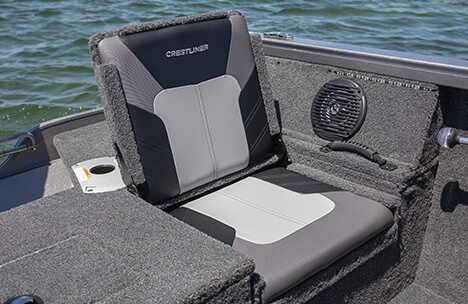 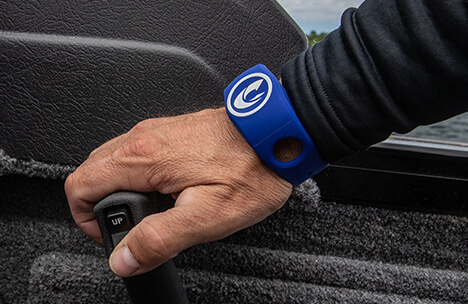 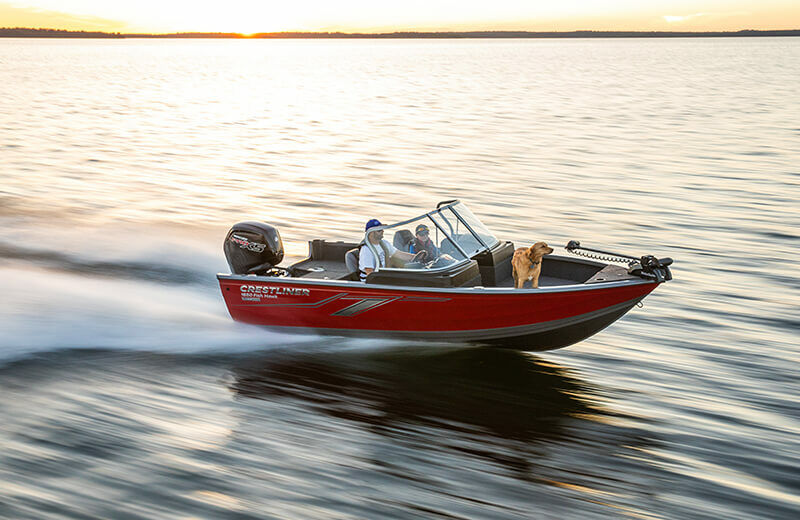 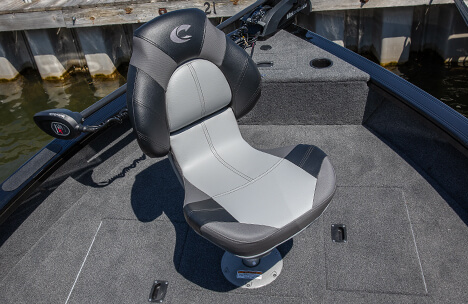 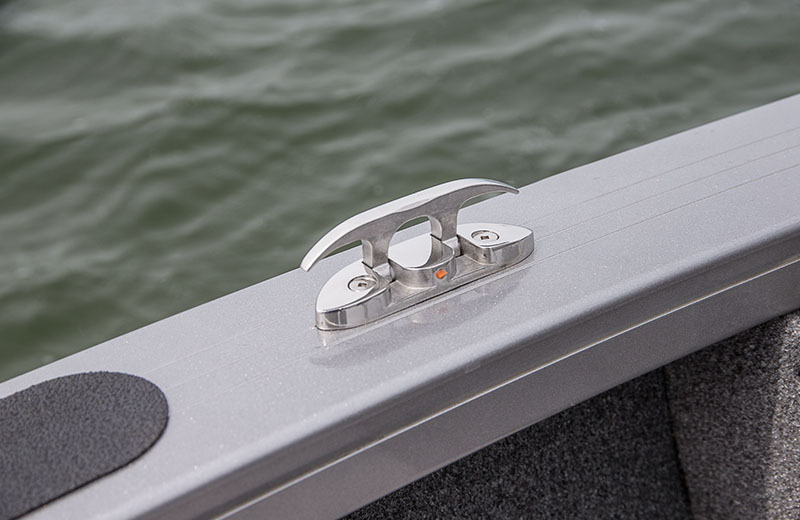 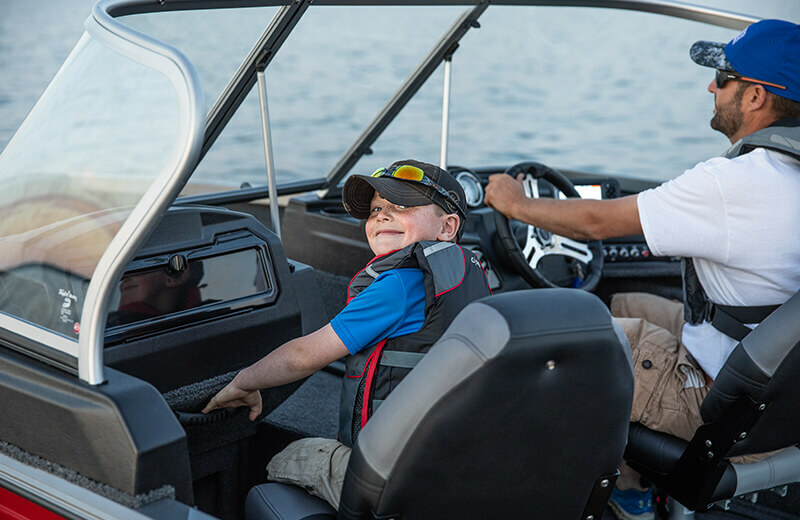 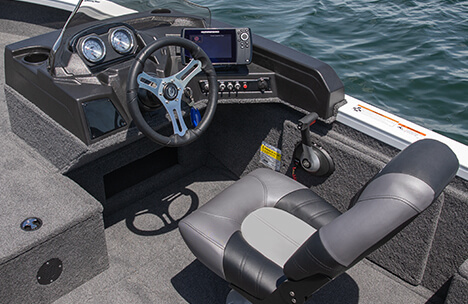 With multiple configurations available like a side console, dual console or walk-through, you can craft the right boat for how you want to fish. 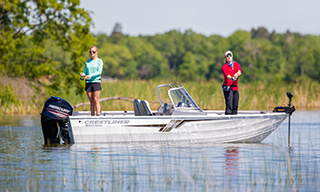 Newly rated for 115 HP, the 1650 Fish Hawk has ample space for up to six people, so you can bring family and friends along for the adventure. 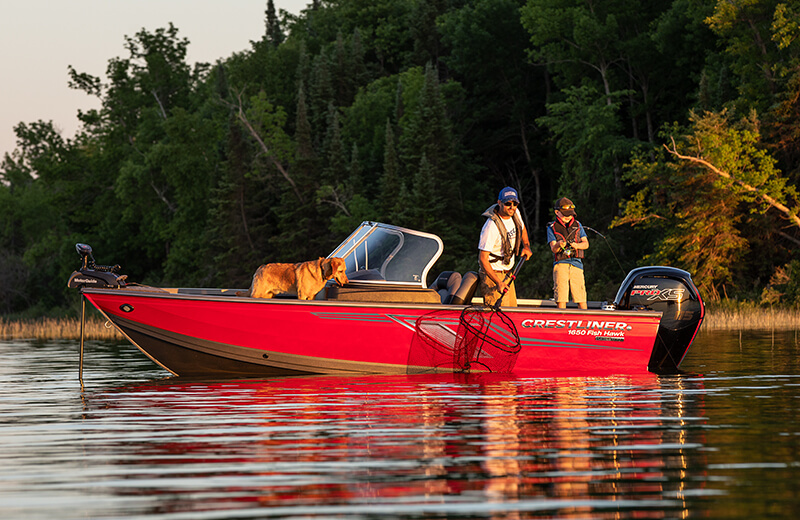 You’ll see why the next evolution of the Fish Hawk is a new chapter in its legendary tale. 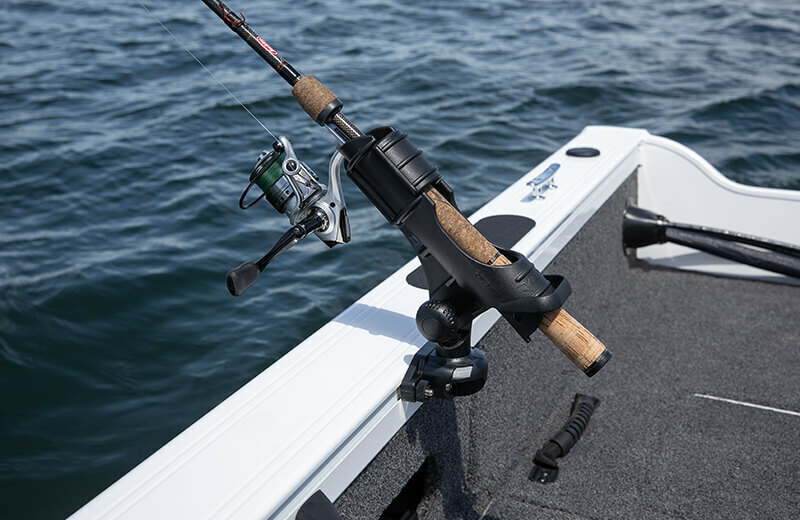 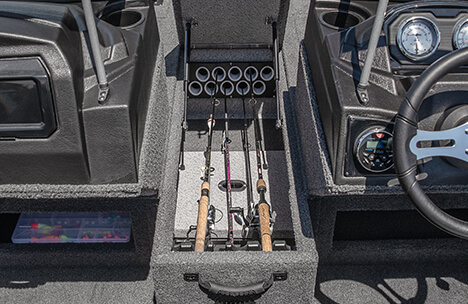 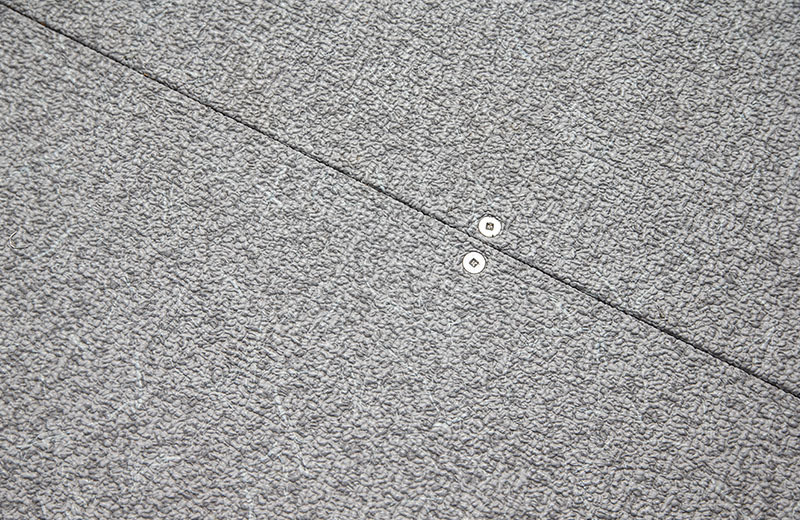 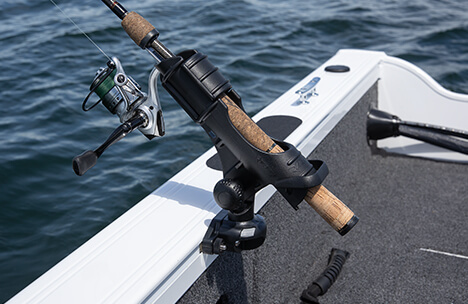 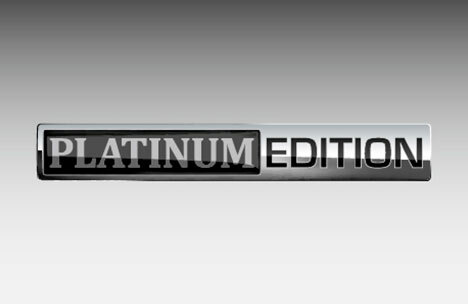 Portside, quick-access rod storage maximizes the roomy cockpit with space for five rods up to 9’. 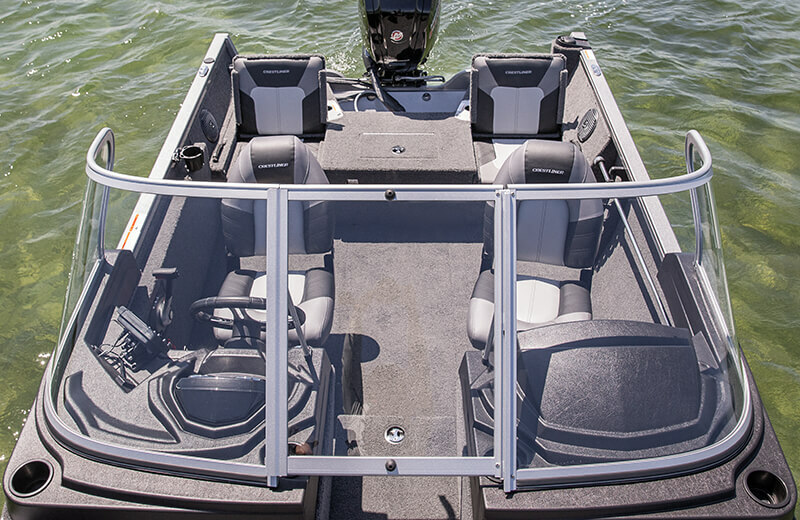 With our innovative hull design, the Fish Hawk sports a wider, more spacious cockpit for you to navigate. 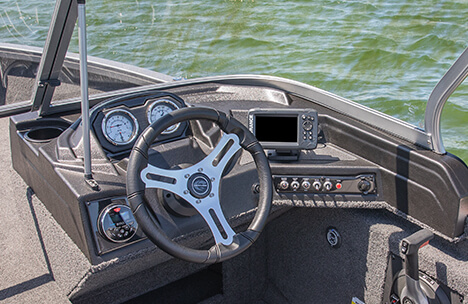 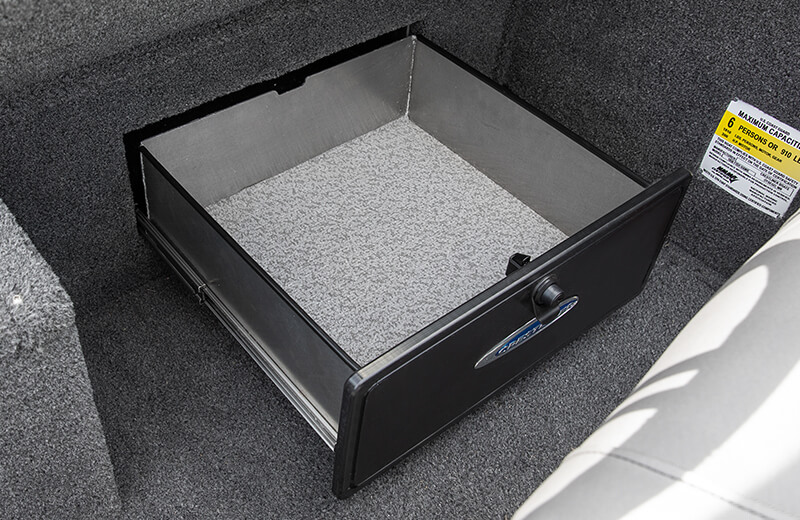 Configure your Fish Hawk as a Side Console, Dual Console or Walk-Through. 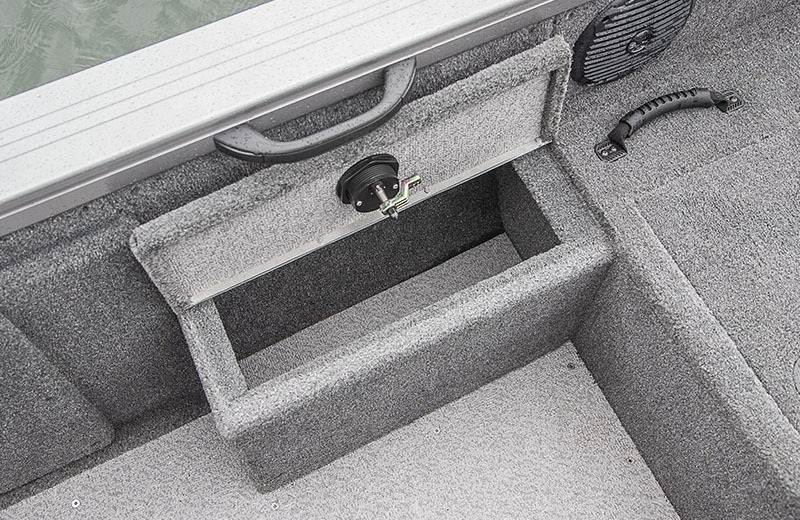 A sleek new console design fits 12" electronics and features illuminated toggle switches, two drink holders and a 12V power outlet. 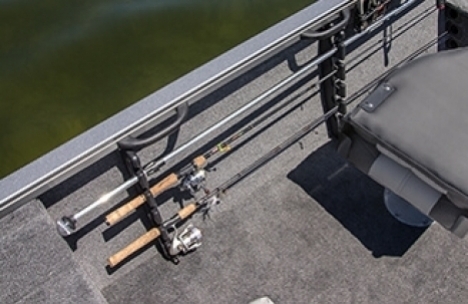 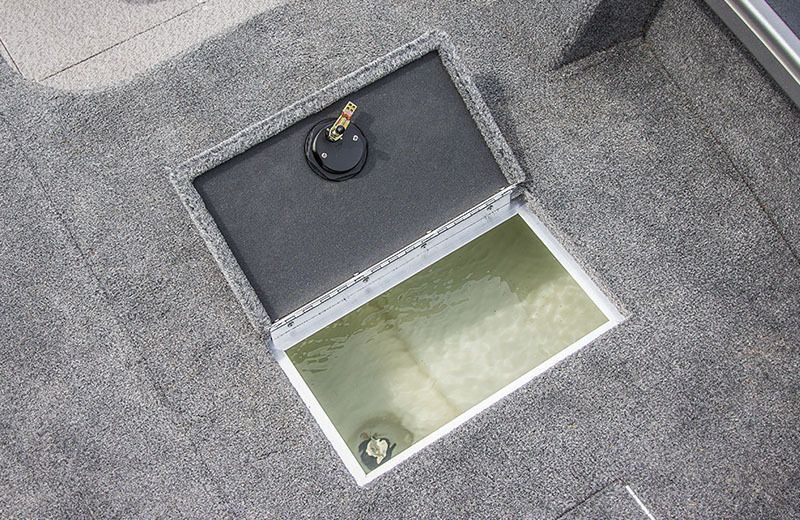 The 1750 Fish Hawk features a 12-gallon bow aerated livewell with timer. 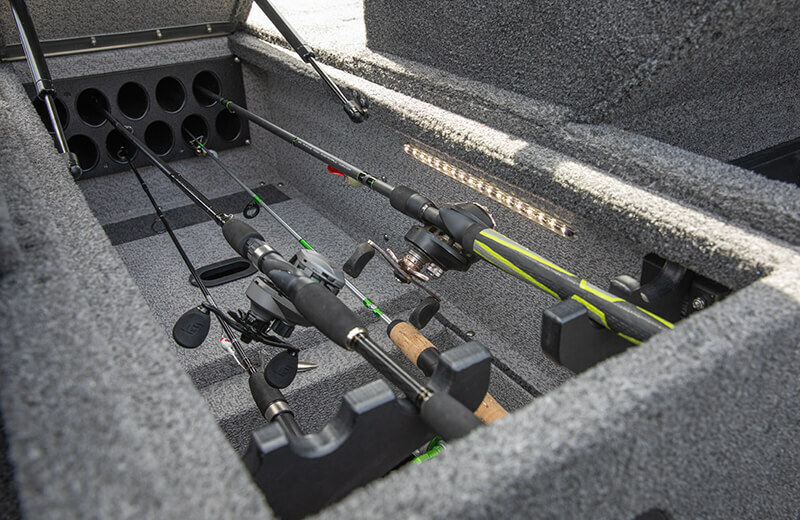 Locking center rod storage holds up to ten rods; five 7' rods and five 6'9" rods. 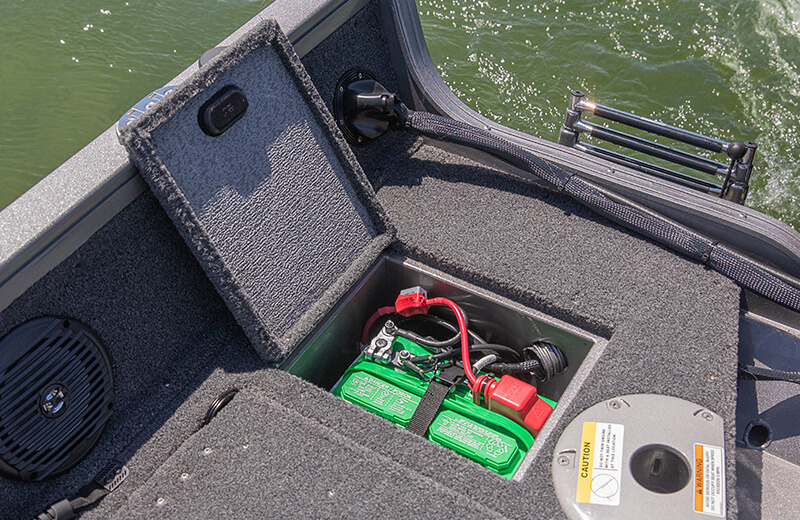 A deep recess houses a spare battery. 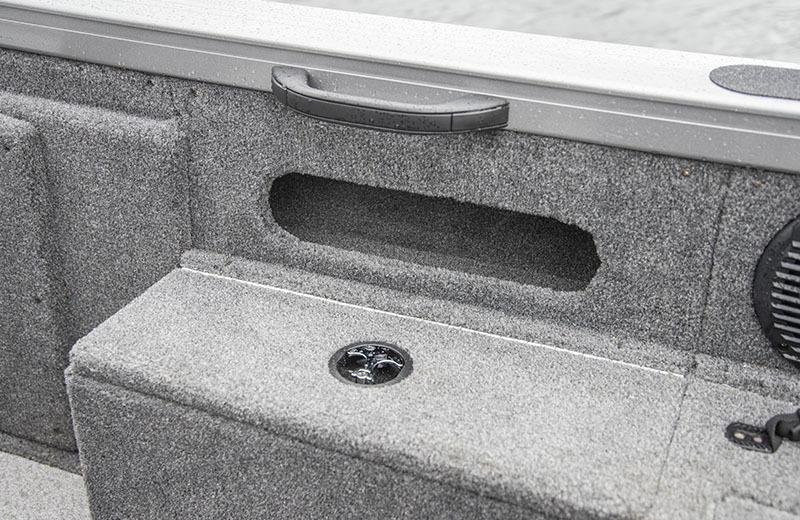 The deep stern aerated 15 gal. 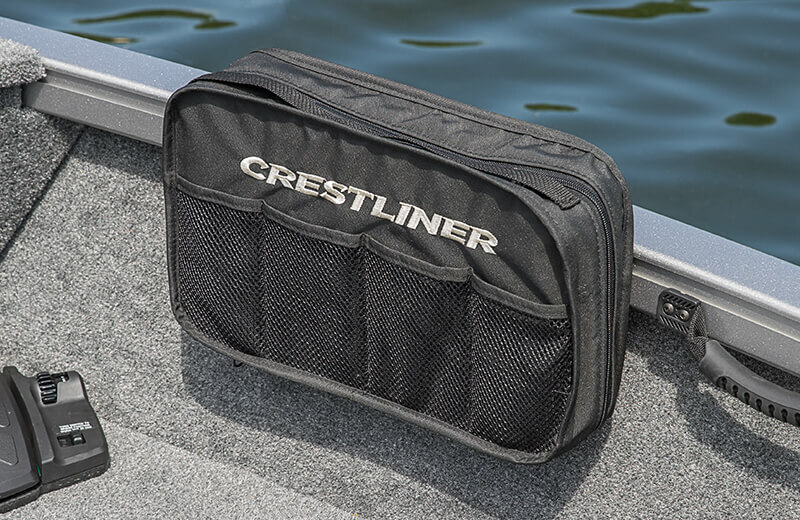 live well keeps your prizes in prime condition. 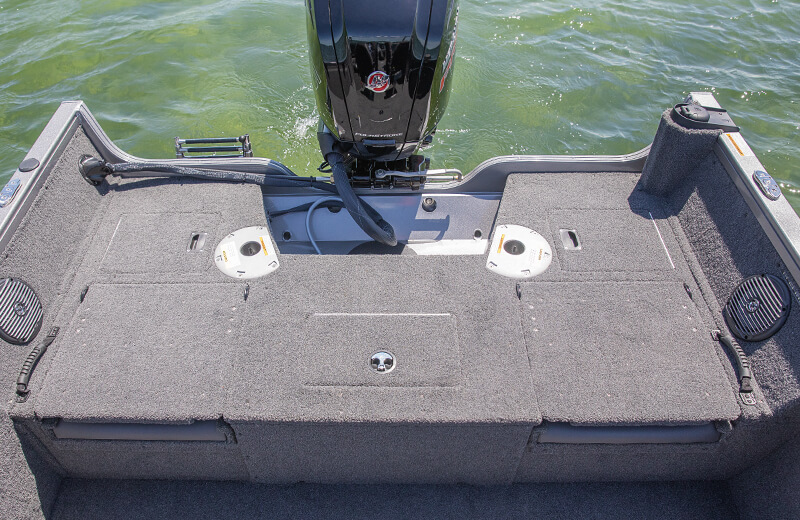 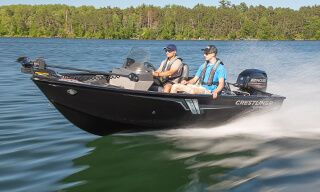 The conversion stern bench option gives you a larger casting/fishing platform when down and additional seating when up. 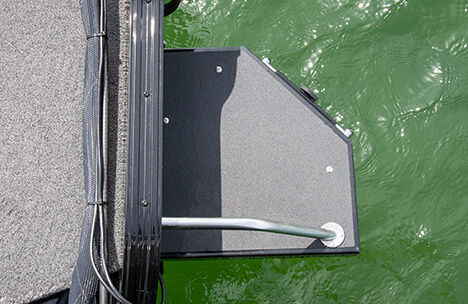 Swim platform with ladder for easy in-and-out of the water. 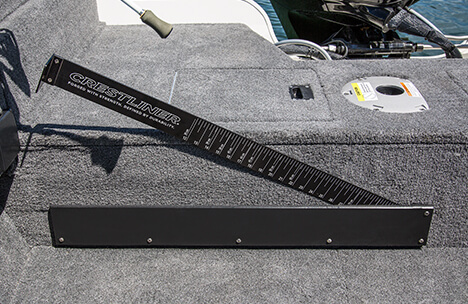 16' 9" 16' 9" 16' 9" 16' 9"
19' 7" 19' 7" 19' 7" 19' 7"
7' 6" 7' 6" 7' 6" 7' 6"
6' 7" 6' 7" 6' 7" 6' 7"
20 gal. 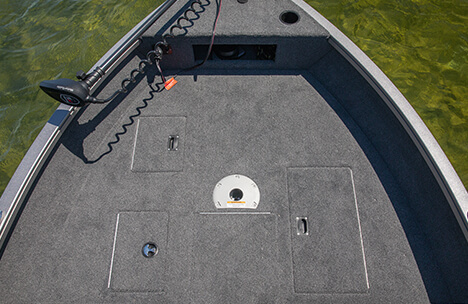 20 gal. 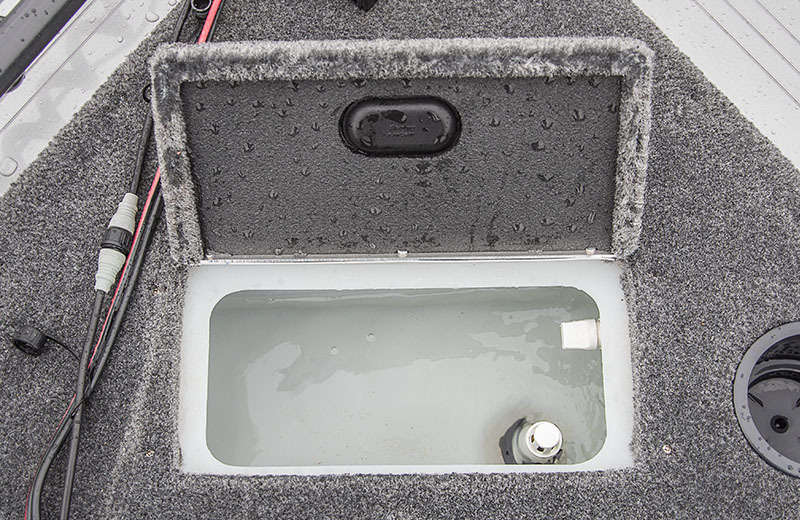 20 gal. 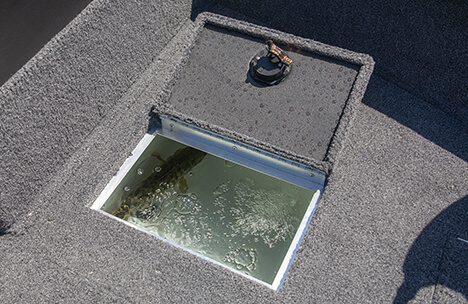 20 gal.